New York fast approaches its six month milestone in the festival of Preetmas — the celebration of public corruption indictments that began in earnest with the arrest of former Assembly Speaker Sheldon Silver, Democrat, in January. 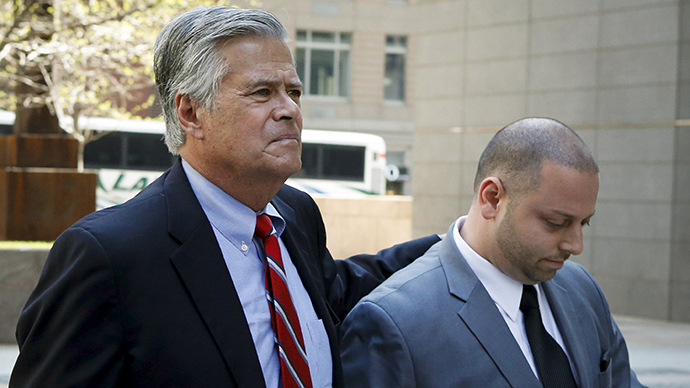 The glory has rolled right on through the recent former leader of the senate, Dean Skelos, Republican, who was arrested in May. The U.S. Attorney has even turned the heat on the children of both men as well. But preparations for this great bonfire of the leadership have been years in the making — decades some might say. Turning the clock back to the recent past, Gov. Andrew Cuomo launched a special commission (known as a Moreland Commission) in July of 2013. Many said he was forced to call the commission because of a string of high profile corruption arrests, and the non-prosecution agreement entered into by Assembly Member Nelson Castro, who stepped down as part of the arrangement. At the time, Governor Cuomo said “Go to any person on the street and say, ‘Do you think there’s a question with corruption in the legislature?’ The answer is yes.” It was a non-trivial omission that he referred to corruption being in the legislative part of Albany only. A deal negotiated between the governor and the Commission’s very legislative targets ground the the work of the Commission to a halt. The vigor that Moreland applied to its investigation and pursuit of public corruption by using its subpoena powers, among other things, upset the legislature. The explosive force with which the Commission’s work ended caught the attention of the US Attorney, who commenced efforts that began when he collected the Moreland’s work product, and which are bearing fruit this year. “Now, eight months after [the Moreland Commission’s] work was cut short, little in Albany has changed. ■ Powerful politicians — including the governor himself — continue to exploit a loophole in state law that allows corporations to funnel huge donations to them in smaller gifts that disguise the true sources of the money. ■ Lax personal financial disclosure laws, critics say, give corrupt legislators a way to mask political payoffs under the guise of part-time jobs. A 2011 reform presented as requiring disclosure of some clients was so narrowly drawn as to be meaningless, and another enacted this year allowed enough wiggle room that lawmakers could well continue to avoid scrutiny. You could say that despite the public outcry about corruption in 2013 (not to mention prior episodes), despite the formation of a Moreland Commission packed with talented and vigorous attorneys, despite the way Albany leadership directly tampered with the very accountability promise Governor Cuomo made in forming the Commission in the first place, and despite the pressure maintained by Progressives, Labor, Good Government Advocacy, the Zephyr Teachout campaign (which went on to win a majority of New York counties), and the press, every attempt to actually address corruption generated more heat than light. We simply move on to the next corruption scandal, as before. So the U.S. Attorney for the Southern District is handing out indictments to New York’s leadership like Happy Meals now, and less than 7 months after the general election, the freshly re-elected leaders of both legislative chambers have been sacked, and re-conducted to the back-bench while they await their fates before a federal bench. These are bold and necessary steps to fight corruption in New York. However, when the factoid was first bandied about that Dean Skelos had just become the fifth consecutive NY senate leader to be federally indicted, the first thing that popped to mind was that this means there have been (at least) five (at least alleged) criminals in New York state senate leadership who nobody in New York’s own justice system nailed first — either for lack of good laws, lack of good enforcement, or lack of general will to fight corruption at all. And New York has had its share of aggressive attorneys general lately. Governors, Attorneys General, Comptrollers, and legislators, mayors, public advocates and council members, even district leaders, state committee candidates, and a couple types of judges — they are all in the same campaign finance mix. They all raise and spend money towards their elections, and this money tends to come from the same places. Cuomo essentially revealed with his own meddling that it was impossible for the Commission to conduct its job with even a half-measure of seriousness without their work touching the Governor himself. In the Senate, Dean Skelos’ leadership vacuum is filled by John Flanagan, who shares something in common with both Skelos and Silver: outside legal income. Flanagan was listed as “Of Counsel” to the firm of Forchelli, Curto, Deegan, Schwartz, Mineo & Terrana, LLP until the week before his leadership vote. This firm and its partners and associates have been politically active in New York, including the operation of two different PACs, at a time when this legislator was literally (literally) in their pay. They still list Assemblyman Edward P. Ra on their Of Counsel page. This is a story I am developing. When you look at how interested New York leadership is in clearing out corruption all by itself, compare them to FIFA re-electing Sepp Blatter and realize that they are institutionally hobbled by closely held power. Hope is mounting that Preet Bharara will reach the rarefied heights and make a case against the Governor of New York. The linkages are certainly there. The sorts of characters crossing paths and money crossing hands tend to be quite commonly shared in a state where power is so closely held. It has become rather difficult, as a New York official, to investigate the friends of any other New York official without possibly turning up some of your own friends. I submitted testimony to the Moreland Commission (though my opportunity to address the commission was preempted by the U.S. Attorney) about how the lack of canonical counter-party identification made public records such as campaign finance and lobbying data resistant to analysis. It should be noted that the New York State Board of Elections actually records names two different ways, and so many names are bound to appear in different formats as well. I dedicated my Moreland Commission testimony to this issue because the solution is technical and entirely a-political. Essentially, because names and addresses may be described, lexically, so many ways, identifying entities and networks is very tricky. Nonetheless, I have built the software and robust processes with which to do it because the government has not. I start with a known pool of aliases or locations (for instance, research on Litwin begins with the address of Glenwood Management, 1200 Union Turnpike, as this is famously the address of all his other LLCs too). I search for every alias invoked at a given location and/or every location invoked by a given alias. I repeat these processes against each other, like sieving, until I have worked out address histories that allow me to logically include and exclude records with respect to aggregation into a network viz. the Bonomo network, the Litwin network, etc., etc., etc. I may then record these linkages and build data queries respective of them. Please download and review aliasing.xls from my FTP. This file shows you that 90 aliases comprise the Bonomo Network while 302 aliases comprise Litwin’s. Brian Meara and his PR firm appear 28 different lexical ways in the records, while Steve Pigeon, including his “nonexistent” Friends of Steve Pigeon committee (which appears as an expenditure from other committees), and yet does not itself appear in any BOE filer record. Leonard Litwin, often regarded as New York’s most prolific donor, makes use of the LLC loophole to pump millions of dollars directly into the coffers of political committees without the usually applicable corporate donation limits. Litwin has given over one million dollars to Cuomo, and he has given to Skelos and Flanagan, and to Silver and Heastie. 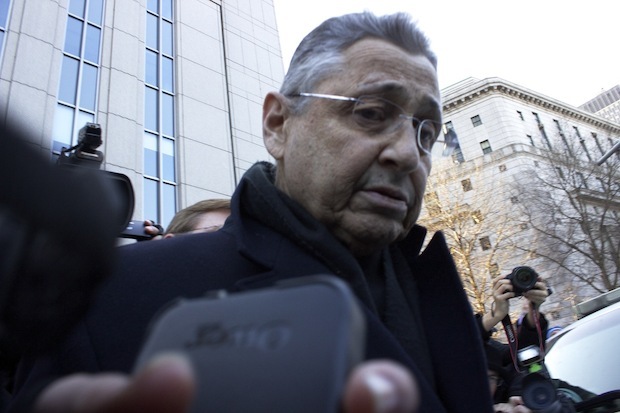 Leonard Litwin’s associate Charles Dorego is said to be a cooperating witness in the case against Dean and Adam Skelos, as Litwin himself was said to be cooperating with the same office in the case against Sheldon Silver. I reported on Litwin for Gotham Gazette this winter, and the data I found indicates his massive scale. Please check out my blog post at the Competitive Advantage Research blog for detail on the complexity of researching the political finance activity of a structure like Litwin has got. He has been massively involved in real estate industry advocacy via REBNY and its PAC, Jobs for New York, Inc. He has made a substantial financial impact on politics and more than one public official has called me up just to ask if they have taken any Litwin money. Brian Meara is a well-connected lobbyist who also makes political donations, though he is not big-time with this. Meara has donated to Cuomo, as well as Skelos and Flanagan, and Silver and Heastie, all while doing heavy hitter lobbying. His campaign finance effort is dwarfed by his real work on the government side. Perhaps those efforts will be dwarfed in turn by the role he is playing in cooperating with federal authorities. Where the entities above are businesses, they share addresses and even address histories of moving together (as well as other linkages when searched via Google). Based on my analysis, the scale of Bonomo’s networked donor-ship may be greatly under-reported. And if you check out the aliasing document included, you will see all the ways these various businesses themselves appear in the data. And so here he is, receiving an appointment by the Governor all while he is giving a no-show job to the no-show son-of-a-senator. Bonomo and his network have contributed of course to Cuomo, and to Skelos and Flanagan as well as to Silver. Bonomo’s main company PRI, meanwhile, hired Brian Meara as their lobbyist. And lastly we have Gerald Steven Pigeon a/k/a Steve Pigeon. Pigeon is so inimically linked to corruption in New York that while his most recent turn in politics was having his office raided by federal agents a few days ago, the time before that, he was included in a federal complaint against Pedro Espada for whom Pigeon served as legal counsel. He helped Espada navigate one of the most corrupt and tortuous episodes in New York legislative history shortly before Gustavo Rivera removed Espada from office at the primary ballot in 2010. Consider corruption in light of how rare that insurgent feat is. And this does not even include Pigeon’s time as a party boss for the Erie County Democrats. Pigeon’s current arrest stems from campaign finance irregularities to do with some of his big-swinging donations via his WNY Progressive Caucus. He has also lavished over $56,000 on Cuomo since 2009. There are next to no public electronic filings for his time as Erie County’s Democratic Chair (1996-2002), and other entities report donations to a FRIENDS OF STEVE PIGEON around the end of his chairmanship period, which depository committee cannot be found in state data. Since then, Pigeon was a top fundraiser in Western New York for Hillary Clinton in 2008, and he later raised money for Barack Obama’s campaign. New York has by and large done a job of no adequacy discouraging this scheming culture in the era of Cuomo. Like the rest of them, the governor is a major participant, who drinks deep at this trough. In the Skelos indictment, documents show that the criminal masterminds were aware of Preet Bharara’s surveillance powers, and rather than shutting their circus down and pointing Adam Skelos to monster.com, they took deliberate efforts to evade detection. Kind of like when the Moreland Commission itself was shut down by the governor. The thing which all of this rigmarole should teach us is that truly fixing corruption demands not just that we vigilantly investigate and prosecute bad actors, but that we address the fundamental design of our political system where this design produces corrupt incentives. I search for those corrupt incentives in the campaign finance system. There is no politician around with the incentive to fully unwind the campaign finance system. Many will argue about enfranchising small donors but can’t or won’t talk about where the money ultimately goes. It is the means by which they conserve and accumulate and protect political power, and due to the utter noisiness of the traffic in the data, it is also a comically obvious vector for corruption.